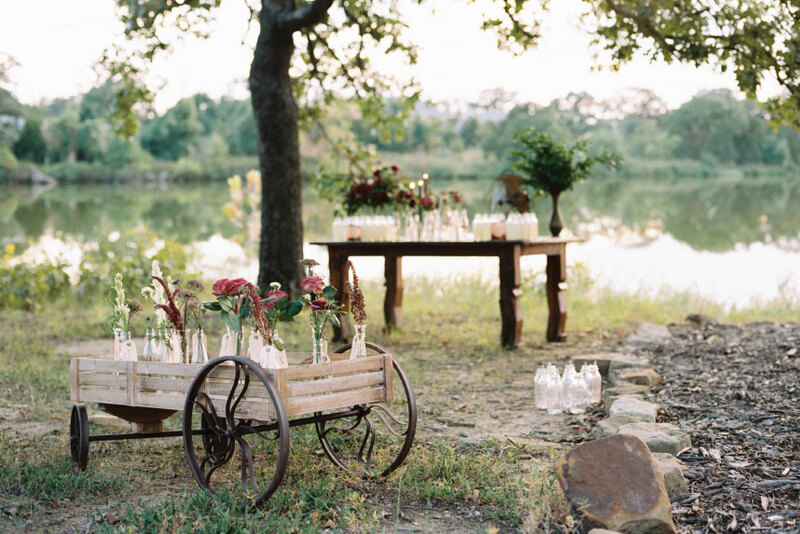 This sweet lakeside set-up from Redefined Rentals has us in the mood for summer! 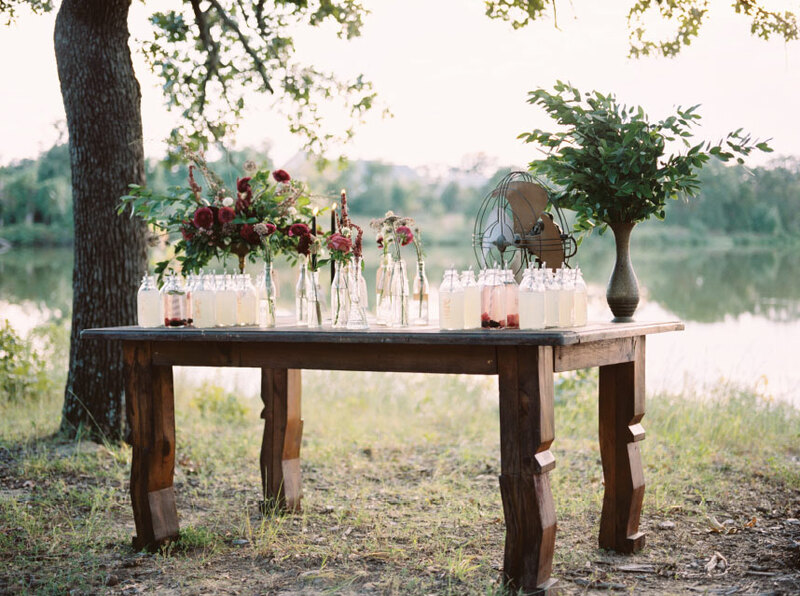 We loved the way Ever Something Event Styling styled this al fresco drink station on a rustic farm table from Redefined Rentals. 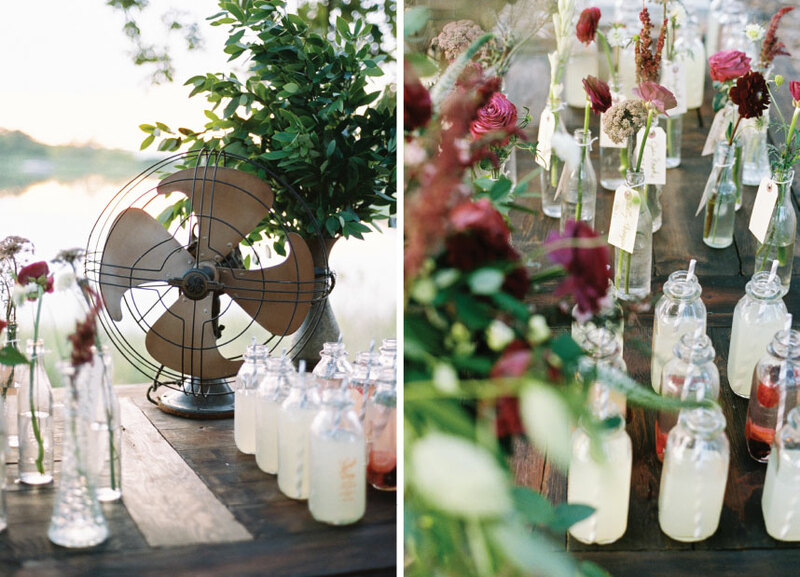 The vintage milk glasses were the perfect touch and were filled to the brim with refreshing lemonades and berry-infused water. 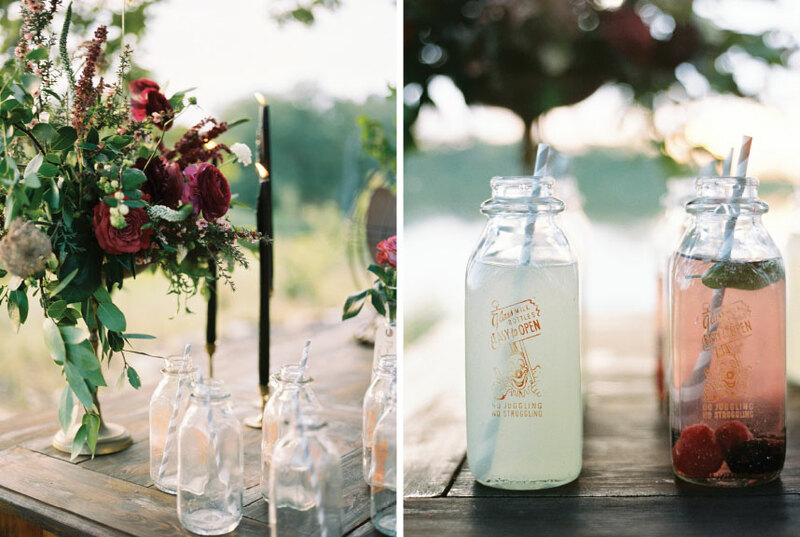 We couldn’t wait to wrap this shoot, grab a drink and enjoy the sunset at Loughridge Weddings and Receptions! 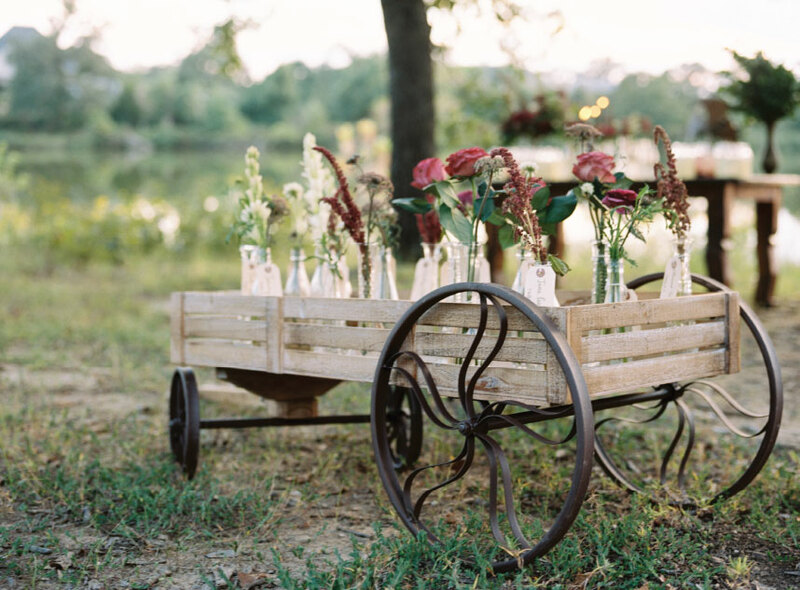 Kelbert McFarland Photography captured this picture perfect day, and it couldn’t have been any better! Cheers!